When your surgeon uses this posterior approach to sacroiliac (SI) fusion, TransFasten potentially reduces operative time and neurovascular complications. 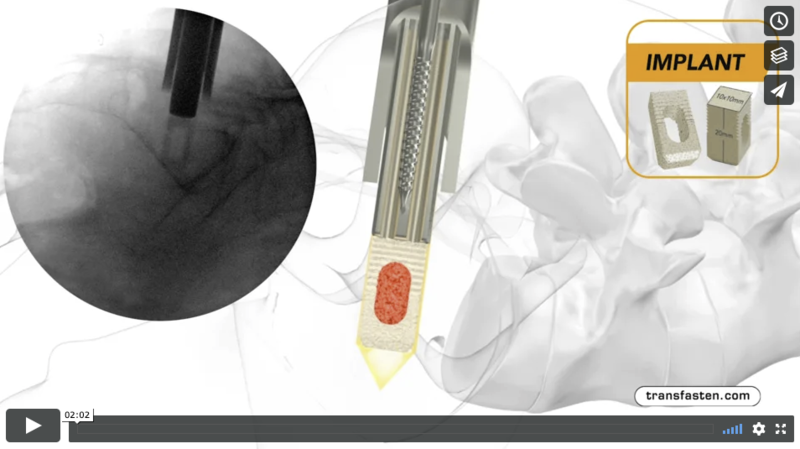 The geometry of the TransFasten implant across the SI joint is designed to stabilize the motion segment without disrupting the anatomy and creating new pain generators. Cohen SP, Chen Y, Neufeld NJ. Sacroiliac joint pain: a comprehensive review of epidemiology, diagnosis and treatment. 2013 Jan;13(1):99-116. doi: 10.1586/ern.12.148.